I’m going to be honest, I’m working on this post in the middle of the “Charging Station” area at BlogHer 2013 in Chicago, IL. I’m surrounded by small groups of women who are chatting, laughing, carrying-on, and one of the things I find fascinating (besides the trust people here have with leaving their electronics unattended) is that in the middle of these hundreds of people: I can shut them all out. Does that make me alone in the crowd? I’m not sure how to answer that question to be perfectly honest. Some may read into that question that perhaps I feel lonely, which is far from the case. I also don’t feel alone as an individual or as a blogger. I’m surrounded by a great many people, men and women both, who share a common goal: getting their words out of their heads and sharing them with the world. To me that seems a very unlonely mission. It’s also not about reaching as many people as possible with our blogs, but rather connecting with people as individuals. People who hear what we are saying and understand it instantly or who want to learn more due to a sense of intrigue. If you are at all familiar with me on a personal level, you will know that I love intrigue; without it I often find I have no desire to delve further into getting to know someone. Thankfully, I have met a great many intriguing people here at my first BlogHer conference. So here I sit, writing in my notebook first – next the laptop, alone in the crowd, in my nine square feet of floor space, tucked behind couches filled with boisterous bloggers, but not lonely. Me, deep in thought and writing hard. 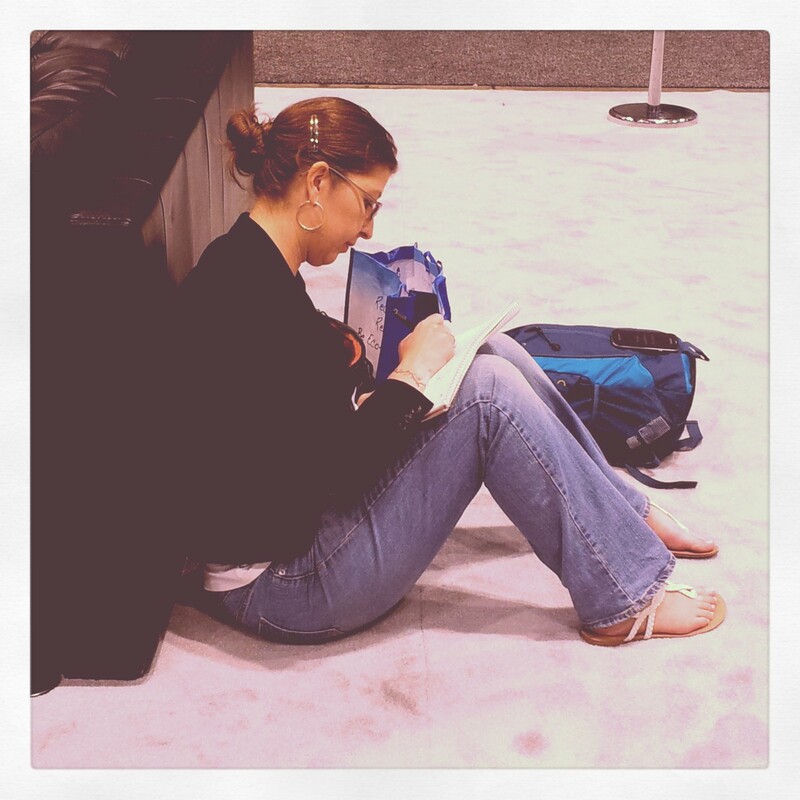 Did you attend BlogHer 2013? Is intrigue in someone a necessity for you to strike up, or continue, conversation? This entry was posted in Personal and tagged blogging conference, blogging conferences, blogging conventions, BlogHer, BlogHer 2013, intrigue, SXSW. Bookmark the permalink. 2 Responses to Alone in the crowd? Rather than “alone in a crowd,” I’d say you were “comfortable in a crowd.” What a wonderful sense of the community. Hey! I think you’re onto something there. Comfortable was definitely how the whole conference felt.